Petrovits, Patrick, Smith & Company LLC provides a wide range of services to meet your tax planning and tax preparation needs. The cornerstone of our firm is customer service and personal attention. Every client benefits from our attentive staff who listen closely to learn more about your particular tax situation. We continuously monitor tax law changes throughout the year that will affect you. We recommend tax savings strategies and serve as your advocate in all tax matters. When it comes to tax planning and tax preparation, we assist in identifying and implementing tax-saving strategies to your advantage. Minimizing your tax burden within the guidelines of the law remains one of our top priorities. We achieve this through communication with you during tax planning. Our staff work with you throughout the year to develop a plan with tax savings strategies that are tailored to your unique situation. There are many planning techniques available to lower your overall tax burden. We provide personal, one-on-one service and offer answers to your important tax-related questions. To make the tax process as convenient as possible, we offer our clients 24/7 access to all of their tax information via our secure client portal from our website. You can login anytime to review your documents electronically. We offer business consulting to assist you in deciding how to structure your business and determine whether a Corporation, Partnership, Proprietorship or Limited Liability Company best suits your situation. We consult with you regarding the tax and business implications of each type of entity. We guide you through the tax and financial implication of each business model to match them with your needs. We discuss the alternatives in a concise and clear manner. We prepare individual tax returns for you and/or your company. We prepare all federal, state and local jurisdictions, as required. Each state and municipality has unique rules and regulations. We complete your state and local filing requirements and prepare the tax returns needed to comply with these requirements. Tax codes provide numerous tax credits available to reduce the amount of tax you pay. Business tax credits are available for research and development, energy saving improvements and various other activities, some dependent on your business structure. Alternatively, tax deductions allow for reduction to your taxable income. We use professional judgment and experience in resolving questions where the tax law is unclear, or where there may be conflicts between the taxing authorities’ interpretations of the law and other supportable positions. 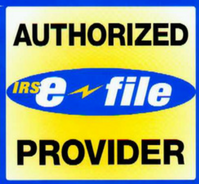 We are available to represent you in all matters with respect to the IRS or state tax agencies. Whether the matter requires a letter of correspondence to the Agency or representation in an audit, we work with you through the entire process and offer extensive experience to help alleviate the pressures involved with these matters. We clearly communicate the timing, due dates and information required from you. We communicate with you throughout the year. We furnish you with questionnaires and/or worksheets to guide you in gathering the necessary information. Your use of such forms assists in keeping pertinent information from being overlooked and aids in overall preparation of your tax returns. Congratulations to our new CPA!